Down Syndrome – also known as Trisomy 21 – is a birth defect affliction happening to a child born with an extra 21 chromosome. Normally, a person has two copies of chromosome 21 – a baby with Down Syndrome has three copies. This common syndrome leads to delayed physical and mental development in babies born to women over 35. Children born with Down Syndrome suffer from medical problems like heart defects and sleep apnea, as well as mental and social development complications. The Down Syndrome Awareness Month is October and is a national movement focused on helping couples trying to get pregnant understand the risks of chromosomal birth defects. Why does this matter? Our fertility experts prevent birth defects and want to spread awareness about how genetic testing can help prevent Downs Syndrome. Bottom Line: In their role as partners in bringing awareness about Down Syndrome, New Hope Fertility Center NYC has the most advanced genetic testing technology and is dedicated to helping fertility patients reduce their risks of having a child born with a birth defect. Preimplantation Genetic Screening (PGS) is the testing of an embryo’s overall chromosomal normalcy prior to being transferred to the patient’s uterus in conjunction with In Vitro Fertilization (IVF). Specifically, PGS identifies the most suitable and healthiest embryo to transfer by detecting chromosomal deficiencies – aneuploidy – an extra or missing chromosome. Today’s Assisted Reproductive Technology (ART) helps to increase the healthy birth rates of babies through genetic screening. This is because only the healthiest embryos are transferred for implantation during a fresh IVF cycle and/or Frozen Embryo Transfer (FET). PGS dramatically increases a woman’s chance of conception. Embryo biopsy and screening can increase a patient’s chance of a successful pregnancy by 25 to 30 percent. Because advanced maternal age (over 35) negatively affects the quality of a woman’s eggs – oocytes – resulting in chromosomal abnormalities, New Hope Fertility Center in NYC recommends PGS in conjunction with IVF to most patients over the age of 35. NGS – Next Generation Sequencing – is a new method of PGS. 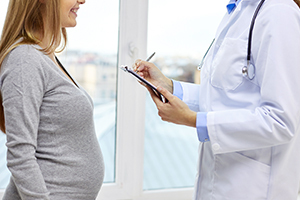 NGS is the latest genetic screening test for primary candidates undergoing IVF. NGS is used for comprehensive chromosome testing of embryos created through IVF. NGS is on the horizon to replacing PGS because of the procedure’s lower cost, increased speed of results, and reduced errors. NGS allows embryologists to screen for defects on the chromosomal level with higher accuracy and more detail than ever before. NGS results are comprehensive and offer a higher resolution than any other genetic testing method because it detects more translocations. NGS may be run as a standalone test – or in conjunction with PGD – at a faster completion rate. NGS also detects mosaicism – when the embryo’s cells exhibit different chromosomal content. Recently, Dr. Zhang was featured in NY Magazine for transferring abnormal embryos and achieving healthy pregnancy. As a woman reaches an advanced maternal age (35 and older), there is a greater chance that her low quality eggs will create chromosomally abnormal embryos. The primary goal of NGS is to transfer embryos that have been found to have a normal chromosomal number – we call this euploid. Embryo morphology – how the embryo looks – is used by many fertility doctors in the USA. But used alone as a means of selection for transfer, it is not the best tool. It is best to perform PGD with NGS to eliminate the chance of good looking embryos being abnormal. It is important to work with a fertility doctor having the experience to prevent Down Syndrome through genetic screening. To schedule your initial consultation with Dr. John Zhang, call 917.525.5496.
drjohnzhang, October 12, 2017. No Comments. Category: Down Syndrome.